Rethymno - Santorini, One Day CruiseAdults 140€, Children (4-12y) 70€, Infants free. Please note that transportation to and from Rethymno port is not included in the price. Chania - Santorini, One Day Cruise (departure: Rethymno port)Adults 160€, Children (4-12y) 80€, Infants free. Please note that transportation to and from Rethymno port is included in the price. Heraklion - Santorini, One Day CruiseAdults 140€, Children (4-12y) 70€, Infants free. 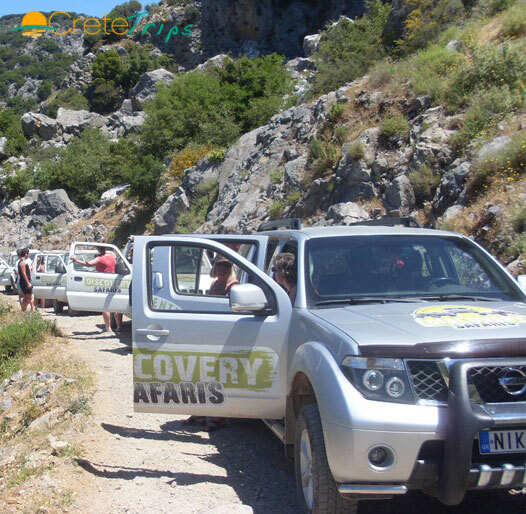 Rethymno Jeep Safari, One Day TourAdults 69€, Children (4-10y) 52€, Infants free. This excursion does not include drivers therefore the clients that wish to participate should be able to drive. Rethymno - Elafonissi, One Day tripAdults 29€, Children (6-12y) 14,5€, Infants free. Transport to and from Elafonissi Beach. Experienced guide available throughout the trip. Please note that we don’t make other stops to give as much time on the beach as visitors need. 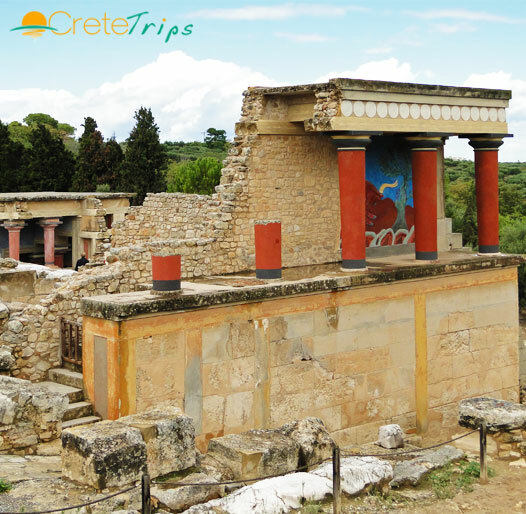 Rethymno - Knossos & Musuem, One Day TripAdults 30€, Children (6-12y) 15€, Infants free. 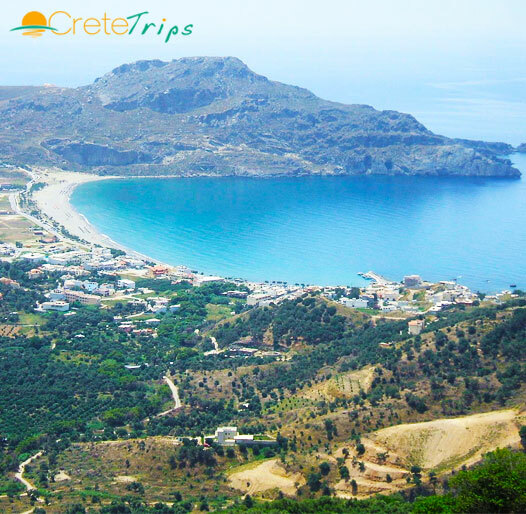 Rethymno - Gramvoussa - Ballos, One Day ExcursionAdults 18€, Children (6-12y) 9€, Infants free. 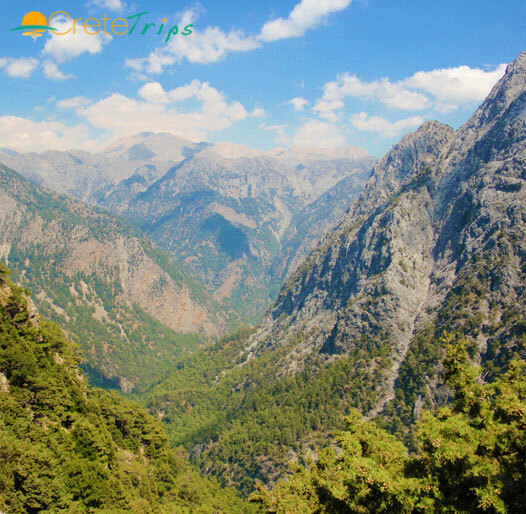 Rethymno - Samaria Gorge, One Day ExcursionAdults 32€, Children (6-12y) 16€, Infants free. Transport to and from Samaria Gorge. Chania - Samaria Gorge, One Day ExcursionAdults 35€, Children (5-12y) 17,5€, Infants free. 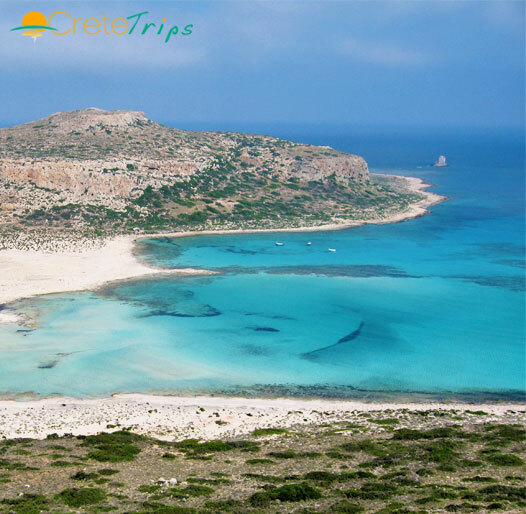 Chania - Gramvoussa - Ballos, One Day ExcursionAdults 47€, Children (6-12y) 23,5€, Infants free. Chania - Elafonissi, One Day tripAdults 35€, Children (6-12y) 17,5€, Infants free. Chania - Knossos & Musuem, One Day TripAdults 43€, Children (5-12y) 21,5€, Infants free. 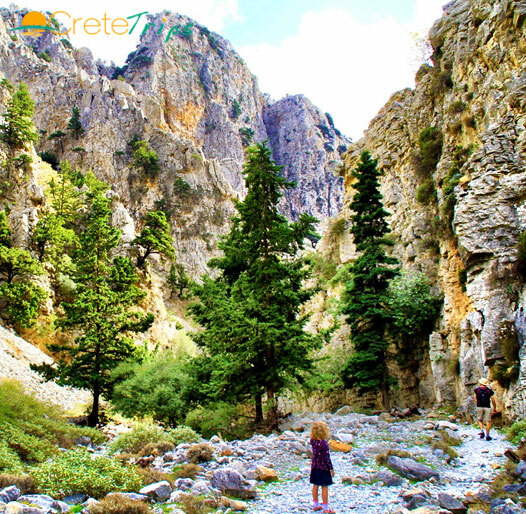 Rethymno - Imbros gorge, One Day TripAdults 29€, Children (6-12y) 14,5€, Infants free. ransport to and from Imbros gorge. Rethymno South tour, One Day ExcursionAdults 27€, Children (6-12y) 13,5€, Infants free. 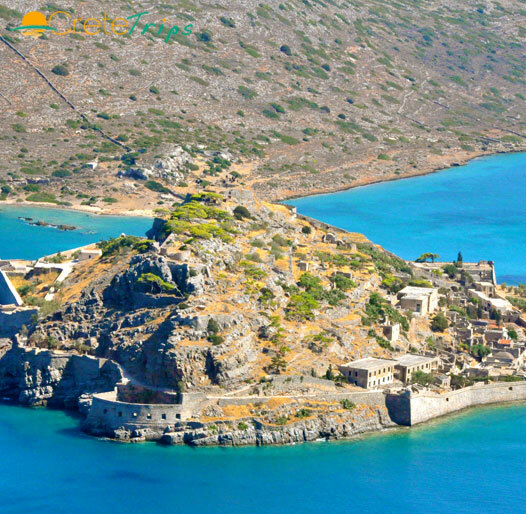 Rethymno Spinalonga island, One Day ExcursionAdults 27€, Children (6-12y) 13,5€, Infants free. We create memorable journeys that last a lifetime! 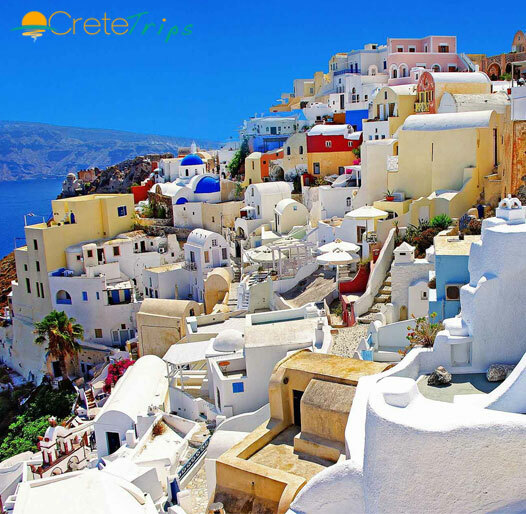 CreteTrips is a travel agent that provides the easiest solutions for your journey, trip, excursion or cruise in order to facilitate your booking procedures. Don't spend your valuable vacation time wandering around. Contact us and we will provide you with all the information you need. 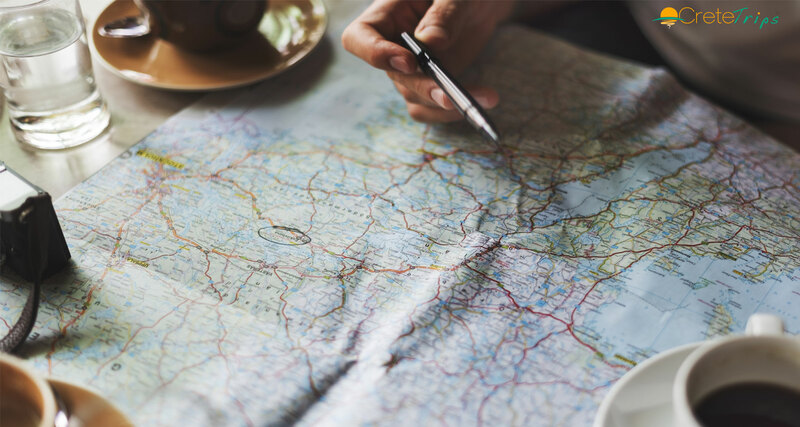 Safe, Secure and Guaranteed services, from the moment you contact us until the moment you return from your trip, full of unforgettable memories. 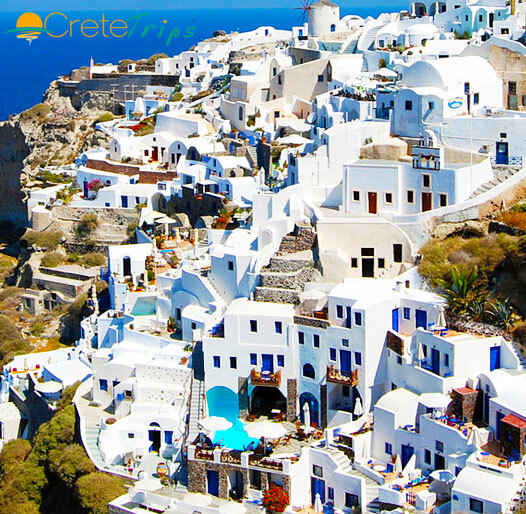 We are a modern travel agency, specialized in trips, excursions, and cruises in Crete and Santorini island. 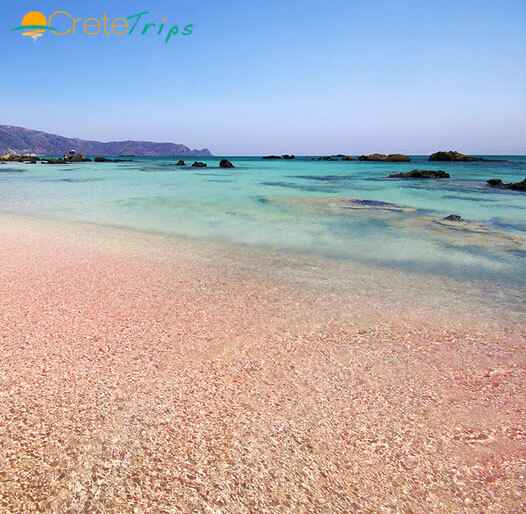 Crete Trips agents are qualified professionals with more than twenty years of experience in the tourism industry. We provide professional customer oriented consultation services offering you hassle free travel.